I See Noise – BIG ANNOUNCEMENTS!! Today is a VERY exciting day filled with 3 great announcements for I See Noise and all of you! I’m not even going to do a little shpeel we’re just gonna get right to it! 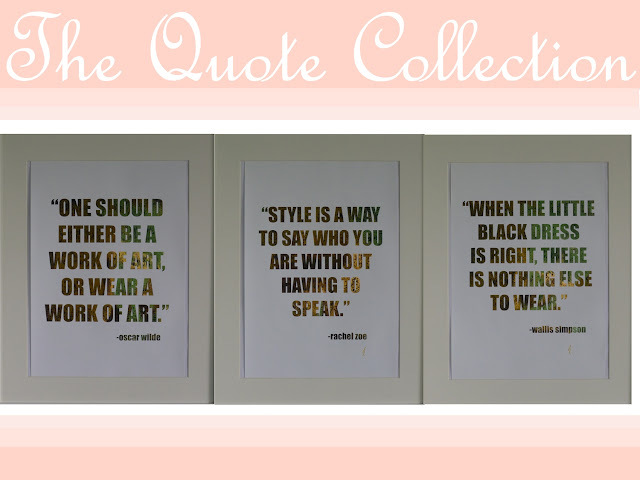 To bring together my love of fashion & style from my blog I have decided to share a part of it with all of you in each purchase! Each month there will be a new accessory designer featured as the accessory pick of the month. The first 50 people to purchase an I See Noise print will receive a special promo card inside of their packages allowing them to receive a special discount on the accessories! For the month of May I am featuring one of my all time favorite ring designers – you have heard of her many times over on the blog… Georgia Heraty of Social Experiment Rings! 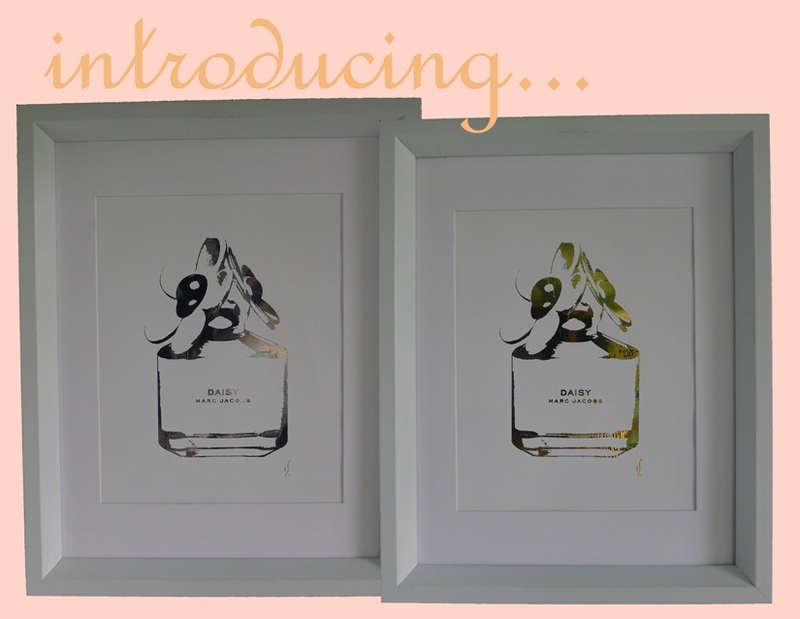 I am thrilled to announce that she is the first of many designers to be featured each month! The Social Experiment promo code is valid from May 1st – May 31st 2012 but is only available for the first 50 customers… and that goes quick! 2. Buy One Get One For 50% Off – BFF Love Promotion! Starting May 1st – May 7th (one week only!) 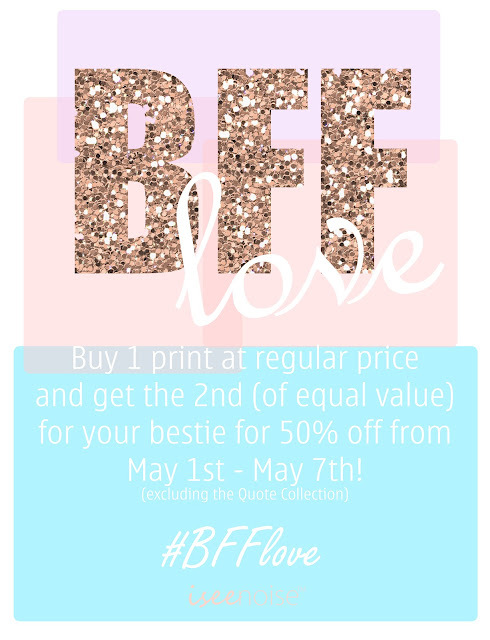 you can purchase 1 print at regular price and get the 2nd print for 50% off to share with your best friend! Etsy doesn’t exactly give me the opportunity to feature this discount on their site so if you would like to take part in this special offer please let me know! This promo excludes custom orders and The Quote Collection. 2. I will place them in the Etsy shop for you to purchase with the discounted price! This is one collection for I See Noise that I have been working on for a little bit now. 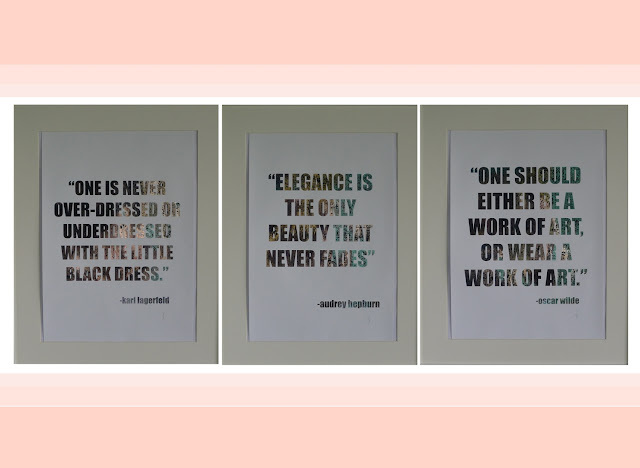 Instead of the usual fashion quotes I wanted to make sure they had deeper meanings but were still fabulous to have around the house. All quote prints are 11″x17″ and come in 24K gold and Sterling silver. Well…that’s it! Told you it was exciting! So basically if you order in the first week of May you get 50% off your second print AND the promo for Social Experiement … I’m feeling quite generous these days. 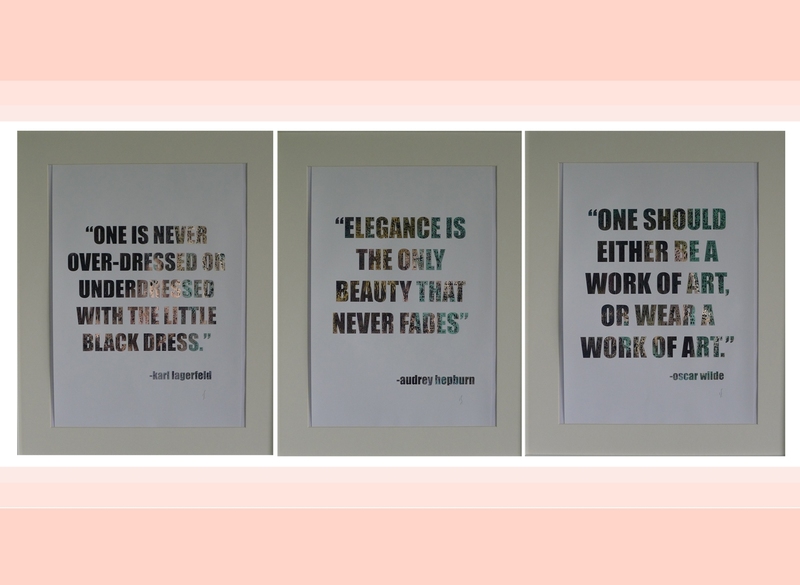 Especially since all of you have been so supportive of the prints and my blog! I See Noise is also officially on Facebook! Join the fun HERE! Oh… and PS! ….. this little number is now on pre-order!! >Love the new collection Randa!! 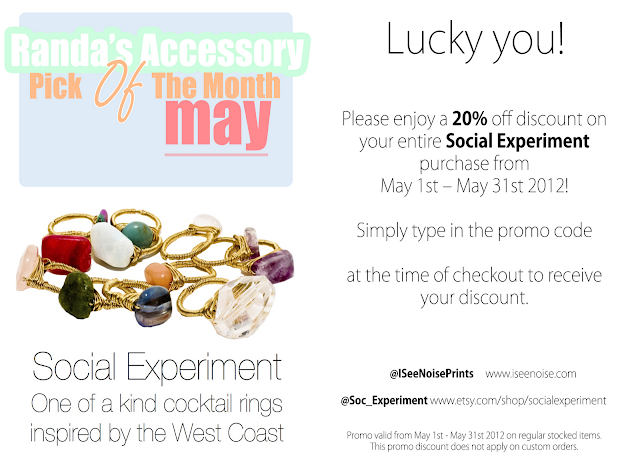 And I love the idea of pairing up with a much loved accessory designer to offer a discount!